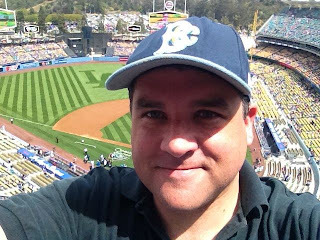 Today's episode of The Sully Baseball Daily Podcast was recorded at Dodger Stadium. I discussed why people should give L.A. fans a break for being late. I also examined the history of the Dodgers and how they were the team that reached out to an African American crowd. They also did the hero for Jewish, Mexican, Japanese, Korean and Born Again Christian fans. Will they be the team that has the hero for gay fans and Muslim fans? Also I determined that CC Sabathia, Will Middlebrooks, Adam Wainwright and Adrian Gonzalez owned baseball on April 7, 2013.
quick question that I'd like to ask if you do not mind. I was curious to know how you center yourself and clear your mind before writing. I have had a hard time clearing my thoughts in getting my thoughts out. I do take pleasure in writing however it just seems like the first 10 to 15 minutes are usually wasted just trying to figure out how to begin. Any recommendations or hints? Thank you!